From Cabo to Nashville and Everywhere in Between, See Kristin Cavallari and Jay Cutler's Cutest Pics! The couple, who recently celebrated their five year wedding anniversary, are no strangers to a sharing good selfie and the oh-so-adorable smooch on Instagram. Not to mention their snaps as a Nashville lovin' family of five. Lucky for us, we'll be getting an inside look at all of their super cute and super hilarious moments navigating life in Tennessee and Kristin's brand, Uncommon James when Very Cavallari hits our screens July 8th and we are so here for it. While we patiently wait for more stan-worthy moments from the killer couple, take a look at some of their cutest pics below! The lovebirds enjoy a romantic dinner date at Flora Farms during a vacation to Cab San Lucas, Mexico. "Working hard or hardly working? 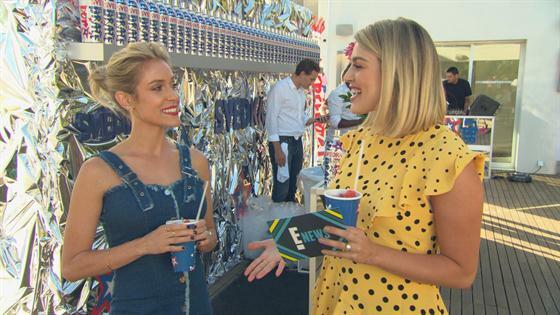 @verycavallari"
"Wouldn't have done it without the to-go wine." "Met this guy 8 years ago today. Where does the time go?! ❤️." "Ohhh to be young. 5 years of marriage with him." "Birthday boiiiiiii . Yeah, I know I'm covered in dog hair. I really don't care." "Back to reality and only one photo of us sans kids. From my teenage years, to being married with 3 kids, Cabo will always be my fave." "No makeup, bare feet, red wine. My kind of Valentine's Day." "My hot date to the @uncommonjames store launch party last night." "The end of another chapter. Feeling very grateful for the past few months. Thank you @miamidolphins for taking such great care of me and my family. Back home and this time we took Jay with us #ItsBeenRealFL"
"Found this guy yesterday #London #NFLinLondon #FinsUp." "And he's off...but this time as a dolphin so excited for my man on this next journey #MiamiDolphins: Cam Cutler." "Me and my wilderness man." "I had the best birthday of my life and it was all thanks to this guy. Not only did he plan a huge surprise party, he planned a "surprise" trip to Mexico with some of my closest friends, too. Thanks, babe....you will probably never see this." "This is the only somewhat decent picture I have from last night (and we're both clearly sober) but Jay really went all out for my 30th birthday. He threw the most amazing surprise party and made me feel so special and loved and I will forever be grateful for this man, my family, and all my amazing friends. I am the luckiest girl in the world to have such incredible people in my life." "Happy anniversary to my man! I truly love him more and more everyday and there's no one else I would rather be on this wild ride with."